After we took a look at the kings of scoring, it’s time to check out those who helped some of them get there. We check out the NBA’s all time Assists leaders, eight retired and two still active. Where do Steve Nash and Jason Kidd rank, and where are they ranked compared to Stockton, Magic Johnson, Oscar Robertson and Isiah Thomas? Although mostly known now as a coach, coaching the Portland Trail Blazers and the Philadelphia 76ers in between 2001-2008, Cheeks was one of the better Point Guards in the NBA during the 1980’s and maybe the best of them on defense. Cheeks recorded 7392 assists in 1101 career games, averaging 6.7 assists per game in his career, good for 24th all time. He was fifth best all time when he retired. 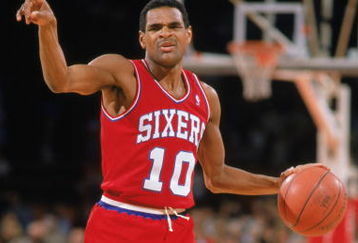 Cheeks spent 15 seasons in the NBA – his first 11 with the 76ers and later moved around between the Spurs, Knicks, Hawks and Nets. He won the NBA title with Philly in 1982-1983 and played in the All Star game four times, all as a Sixer. His #10 was retired by the 76ers. It’s hard to tag a team to Rod Strickland as the Bronx born player has moved around quite a lot in his 17 year career, playing from 1988-2005. Strickland is one of those “would’ve been much greater” types, playing like the best point guard in the league at times and like one of the most exciting players in the league at his prime while sometimes he looked like someone way over his head. Strickland is 8th in the All time assist list with 7987 in 1094 games, averaging 7.3 assists per game in his career which is 19th best all time. He led the league in Assists one time, during the 1997-1998 season as a Washington Wizards player, averaging 10.5 assists per game. He averaged over 9 assists per game three more times but that was his only double-double season. 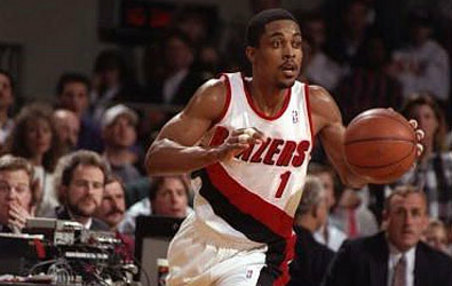 Strickland played for nine teams during his NBA career with Portland and Washington being the two teams he spent the most time with (4 and a bit seasons with each team). 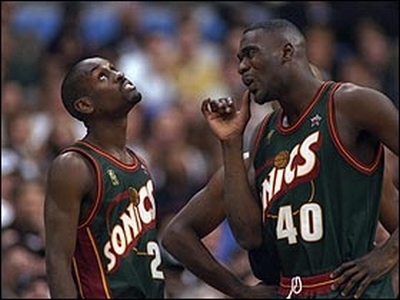 Even though Gary Payton was much more than assists this is the all time assists leaders, so we’ll focus on that. Payton is one of the best defenders all time (nicknamed “the glove”) and one of the best point guards of all time, and he’s also 7th on the all time assist list. 8966 Assists in 1335 games, averaging 6.7 per game, with the numbers really dropping when Payton spent his last two seasons with the Miami Heat. Gary Payton never led the league in assists but between 1994-2003 never averaged fewer than 7.1 per game, with his best coming in the 2001-2002 season, averaging 9 per game. He is the only player in the league’s history with over 20,000 points, 5,000 rebounds, 8,000 assists and 2,000 steals in his career. He’s one of three players, Stockton and Kidd being the others to have 8,000 assists and 2,000 steals. Gary Payton won one NBA title, with the Miami Heat in 2006, played in nine all star games, was All NBA first team twice and won defensive player of the year in 1996. Forget about everything that happened with Thomas after he retired – The Toronto Raptors, the CBA, the Knicks debacle… I hope he finds himself and his place in basketball again now that he’s coaching FIU in the NCAA. The past decade tarnished a bit the memory of one of the greatest players in the NBA’s history, elected to the 50 greatest players in 1996 and number six on the all time assist list. Thomas finished his 14 year career with 9061 assists, 9.3 assists per game. His average is fourth best all time. Thomas is considered by few to be the greatest passer in the history of the game, if you consider he had less to work with than let’s say, Magic, who’s widely considered the best passer ever. Thomas led the league in assists only once, in the 1984-1985 season, averaging 13.9 assists per game. He topped the 10 assists per game mark four times, all between 1983-1987 and he also never averaged less than 6.9 assists per game, which also came in his retirement year. 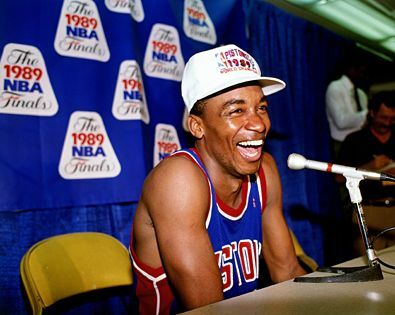 Isiah won two NBA championship titles, back to back, in 1988-1990. He spent his entire career with the Detroit Pistons and was the leader and the best player during the “Bad Boys” years. Thomas played in 12 All star games, was in the first All NBA team three times only (blame Michael Jordan and Magic Johnson for that), a finals MVP once (1990) and was inducted into the NBA hall of fame in 2000. Steve Nash is the first active player on this list, and there’s another one coming up. He completed his 15th NBA season this past year and is currently 6th on the all time assist leaders list. He has 9252 in 1090 games, averaging 8.5 per game. He led the league in assists for three straight seasons between 2004-2007, his first three season in Phoenix. He has led the league again these past two seasons. He is 9th all time in Assist Per Game average. Nash spent his first two seasons in the league at Phoenix before moving to Dallas. In Dallas he became a starter, and after six seasons with the Mavs and not getting re-signed moved back to the Suns, this time as one of the best Point Guards in the league.He won the league MVP in his first two years with the Suns and although has shown signs of age and fatigue this past year is still one of the better PG’s in the league and maybe still the best passer. He has averaged over 10 assists per game six times, all with Phoenix, between 2004-2008. His best was 11.6 in 2006-2007. He has appeared seven times in the All Star game and three times in the All NBA first team. This is the proof the Oscar Robertson being probably the most versatile player in the history of the game, as he’s also 9th on the all time scorers list. Robertson is 5th on the all time assist leaders list with 9887 assists, an average of 9.5 assists per game, the third best all time. Robertson played 14 years in the league, 10 win Cincinnati and four with Milwaukee, leading the league in assists six times. He averaged more than 10 assists five times and over 11 four times, with 11.5 assists per game his best (1964-1965). All his great numbers came while he was averaging over 30 points per game in those years, including the famous triple double average season (1961-1962). Oscar won one NBA title in 1971 with the Bucks. 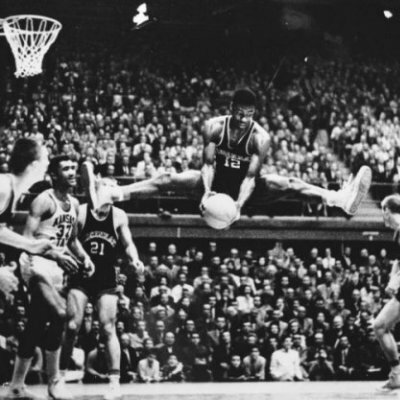 He won one MVP in 1964, took part in 12 All star games and was selected to the All NBA first team nine times. He was also elected to the 50 greatest players in NBA history in 1996. He’s fourth on the all time assist list, but he was the best at it, 95% of NBA fans will tell you that. The greatest point guard and until Michael Jordan came along, was probably the greatest player of all times. 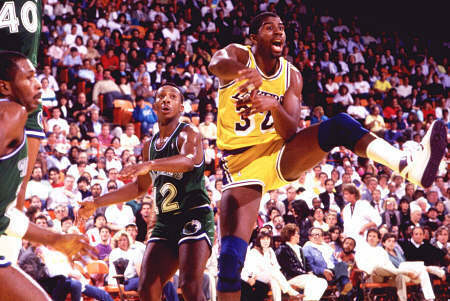 Magic Johnson played in the league for 12 seasons until discovering he was an HIV carrier. He retired from the league but returned for 32 games in 1996, still performing in a high level. Magic is fourth on the all time assist leaders list with 10,141 assists, the first man ever to reach that milestone. His average, 11.2 assists per game, is the highest ever and probably won’t be beaten in a long time. He led the league in assists four times and between 1982-1991 never averaged less than 10.5 assists per game in a season, with his best coming in the 1983-1984 season with 13.1. He averaged over 12 assists per game six times, over 11 eight times and nine times over ten assists per game. Mind you, if there was no John Stockton/Karl Malone rising in the late 80’s, Magic would be assist king a few more times.His lowest average in one season, not including the 1996 stint, 7.3(!!! ).The amazing thing about that number that it came in his rookie season, when he didn’t even play point guard for the Lakers. Magic retired with 5 NBA titles, three NBA MVP’s, 3 finals MVP, 12 All star appearances, 9 times in the All NBA first team and of course part of the 50 greatest players of all time list. The most surprising name on the list. When I looked and saw Jackson was third, I said “What the F…?” But then I remembered how good he was playing for the Pacers and for the Clippers and even for the Knicks, in his fist tenure there back when just started out in the league. Plus, Jackson rarely missed games and he did play for 17 seasons. Jackson had 10,334 assists, with an average of 8 per game. That’s the lowest average out of the Top six on this list. Jackson led the league in assists one time, in a season he played for both Indiana and the Denver Nuggets back in 1996-1997, averaging 11.4 assists. Jackson had only one more 10+ assists per game season, back in 1988 when he was a rookie playing for the Knicks, averaging 10.6 assists per game. 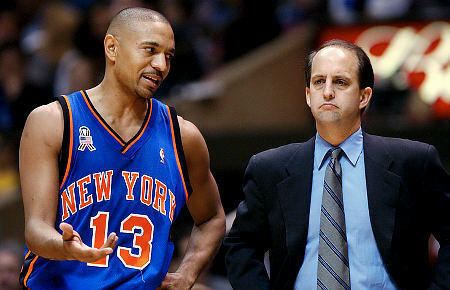 Mark Jackson’s only other accolades in his career are his 1988 Rookie of the Year award and his all star appearance in 1989. Number א’םe on the all time assist leaders list and the leader among active players. He’s averaging 9.1 assists per game so far in his career, which has spanned 1267 games over 17 seasons so far. Jason Kidd led the league in assists five times, three with the Phoenix Suns and two with the New Jersey Nets. 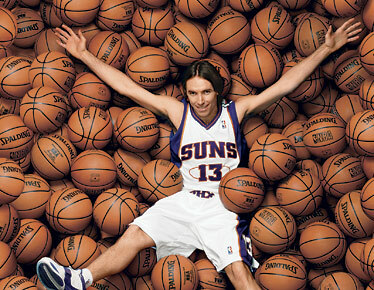 His best came in the 1998-1999 season, playing for the Phoenix Suns, averaging 10.8 assists per game. He averaged over 10 assists per game three times in his career, including in 2007-2008, the year he was traded from the Nets to the Dallas Mavericks, the team he started his NBA career with back in 1994. It’s risky saying about a record it’ll never be broken cause you never know, but John Stockton’s 15,806 assists in his career is going to be very very very hard to break. The active players leader, Jason Kidd, is 5000 assists behind him, and he’s 36. Even if he keeps up dishing out 700 assists per season like he did last year, it’ll still take him almost seven seasons to pass Stockton. Very Unlikely. 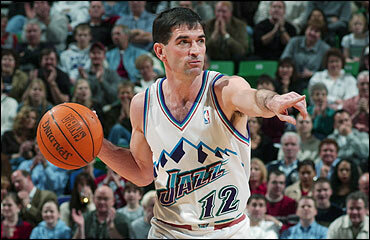 John Stockton’s name is synonymous with Karl Malone, Utah Jazz and Assists. From the moment he got to be a full time starter for the Utah Jazz in the 1987-1988 season, Stockton took over the Assist King place. He led the league in assists for nine consecutive seasons, averaging 14.5 assists per game during the 1989-1990 season, his career best. He averaged 14+ twice, 13+ five times, 12+ eight times and 10+ ten times. His lowest number came in his rookie season, 5.1 per game but he only played 18 minutes per game that season. Stockton maybe didn’t do it with flair and flashiness like Magic did, or even Jason Kidd and a few others, but he was more efficient, and just better than most of them. And he had Karl Malone. Well, they had each other, with Karl Malone finishing his career second on the all time scorers list, and Stockton first on the all time assist list, with 10.5 assists per game in his career. Stockton hardly missed games, playing 82 games in 16 of his 19 seasons. He never won the NBA title (lost twice in the finals) and never won the MVP, but you can say that he has a lot to do with Malone winning the MVP twice. He played in 10 all star games and was an All NBA first team member twice, and also part of the 50 greatest players of all time list.